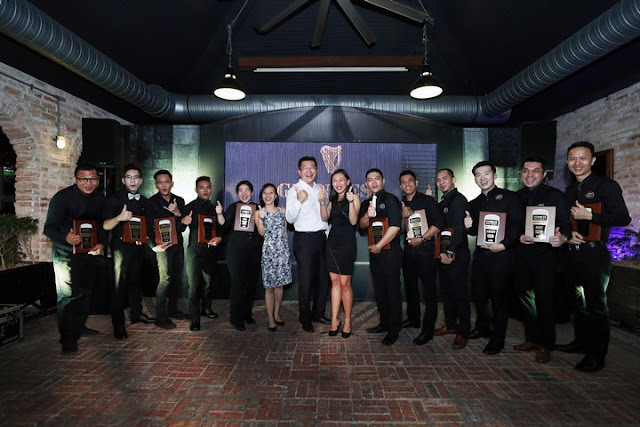 KUALA LUMPUR, 20th July 2017: Heineken Malaysia has revealed the winners of the inaugural Guinness Perfect Pour contest, at a prize-giving session at The Tavern, Sungei Way brewery. 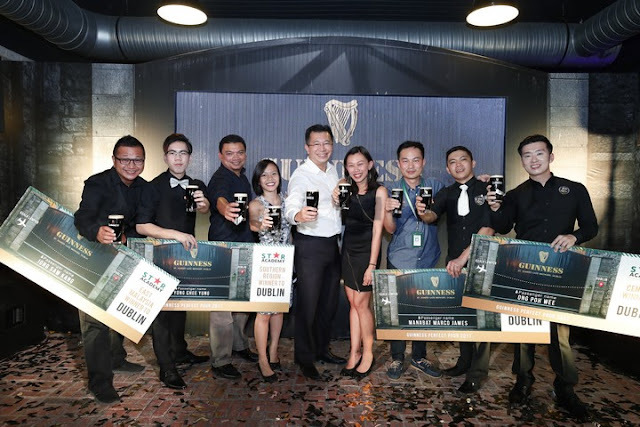 The winners, representing four regions in Malaysia – Central, North, South, and East Malaysia – faced stiff competition from more than 1,000 entrants across the country in search of the perfectly-poured pint of Guinness. The 11 Guinness Perfect Pour finalists gather at The Tavern, Sungei Way Brewery, before the prize giving ceremony. 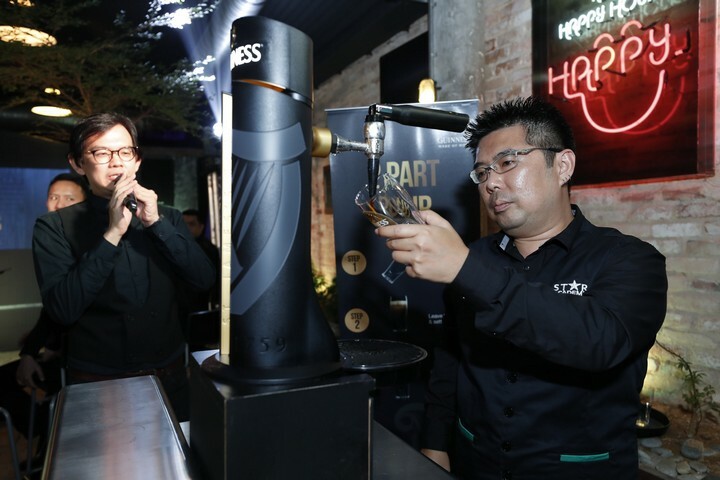 The Guinness Perfect Pour contest, held under the Heineken Malaysia Star Academy platform, began earlier this year with a nationwide roadshow demonstrating the art behind the unique two-part Guinness pour. 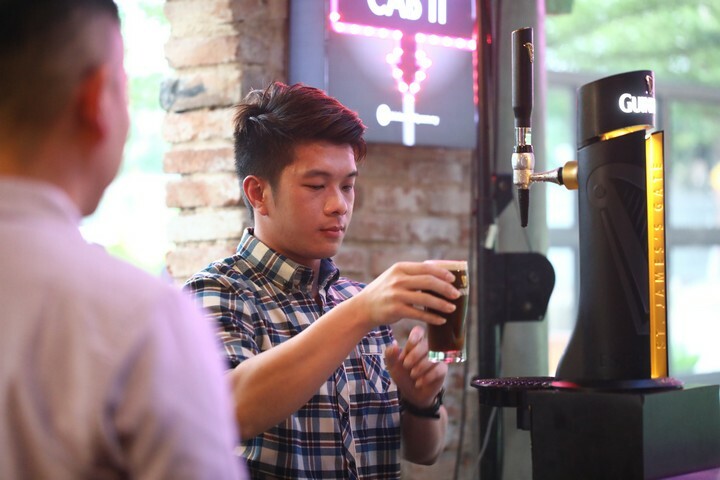 Serving staff from hundreds of bars and pubs across the country were taught the secrets of pouring the perfect pint, ensuring that Malaysian consumers always get the best-tasting Guinness no matter where they are. 11 finalists were shortlisted from more than 1,000 entries from across Peninsular and East Malaysia. 11 participants were shortlisted from more than 1,000 entries, and converged at the Sungei Way Brewery to discover who among them poured the best pint in their regions. At stake was a prize worthy of the challenge: an all-expenses-paid trip to the home of Guinness – Dublin, Ireland. Heineken Malaysia Star Academy trainers explain the secrets behind the iconic two-part Guinness pour. The perfect pint of Guinness takes 119.5 seconds to pour, and requires a unique two-part pour method. The glass is first filled up to three-quarters full, after which the ‘surge’ is allowed to settle before being topped up – giving the Guinness its iconic creamy head and velvety texture. The perfect pour gives balance to the bitter and sweet notes in the stout, delivering the distinctive taste that only Guinness can provide. Guests got the chance to try their hand at pouring a perfect pint of Guinness for themselves. “Our commitment to excellent quality brews at Heineken Malaysia doesn’t stop when our beer leaves the brewery,” said Andrew Woon, Sales Director at Heineken Malaysia Berhad. “We want to make sure that every drinker gets the perfect pint in their hand, every time. That’s why initiatives like the Guinness Perfect Pour training programme, along with others under the Heineken Star Academy, are so important. The perfect serve takes in many aspects – the flavour, the aroma, the presentation – and showcases the beer as the work of art it is. (L-R) Jong Saw Kang; Yong Chee Yung; Gerard Anselm (Customer Development Executive, Heineken Star Academy); Julie Kuan (Senior Brand Manager, Guinness); Andrew Woon (Sales Director, HMB); Shereen Teh (National Customer Development Manager – On Trade, HMB); Ong Chee Khim (Assistant Channel Manager, Modern On Trade, HMB); Manabat Marco James; Ong Poh Wee. 1. Take a cool, dry, Guinness-branded pint glass. 2. Hold the glass firmly at a 45° angle under the tap. 3. Pull the handle fully forward towards you. Slowly straighten the glass as it fills. Stop when the glass is ¾ full. 4. Leave the surge to settle, allowing the creamy head to form. The head should be between 10 and 15mm high. 5. Top up the glass by pushing the tap handle away from you. Stop when the head is proud of the rim. 6. Enjoy your perfect pint of Guinness!